As I listen to interviews and read stories this week about how trauma affects people differently, I can't help relate it to my own life. My late husband, John Cavalieri, would have celebrated his 64th birthday on September 11. Our son, Daniel, will celebrate his 24th birthday the same day. 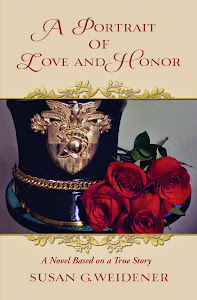 I wrote about this special day in my memoir. It is hard to believe that this would also become a day when a nation confronts its own trauma. Every year at this time, I listen to the stories of loss. And I relive my own. 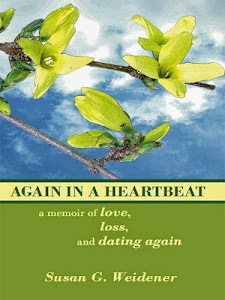 Writing my memoir helped me heal from much of the grief surrounding my husband's long, slow death. It was a seven-year ordeal that was both psychologically and personally devastating considering he was 39-years-old when he was diagnosed with cancer and I was six months pregnant. Writing about his final days, I found that the memories of that time began to lose their power to traumatize me. Just as helpful was talking about those memories yet again at book signings and with readers who had suffered their own loss. In the end, it is how we deal with trauma that defines whether we can move on and create something new from tragedy. Many days I was stuck in the darkness of the past. Then, as always, my writing rescued me. Writing is what I do and what I have always done. It has saved me on more than one occasion. 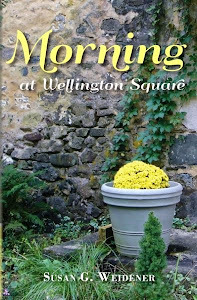 My memoir helped me create something new, not just as an author, but as a human being. 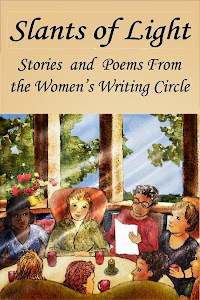 By offering others a chance to write their stories through the validation that is the Women's Writing Circle, I found much of the support and validation I needed. In the Circle we listen to stories of pain and renewal, loss and hope. Through the generosity that is writing from the heart, we share our hopes and dreams, our tragedy and our triumph. Each month in the Circle I "see" the resilience of the human spirit. From my perspective, it seems we are all doing our best to move on and create something new and meaningful with our lives through writing and sharing our stories. What better gift to each other than that.